Halloween is right around the corner, and once you’ve decided your costumes, it’s time to move onto the second most exciting part of October 31—the treats! Your kids are surely counting down the days until the spook-fest. 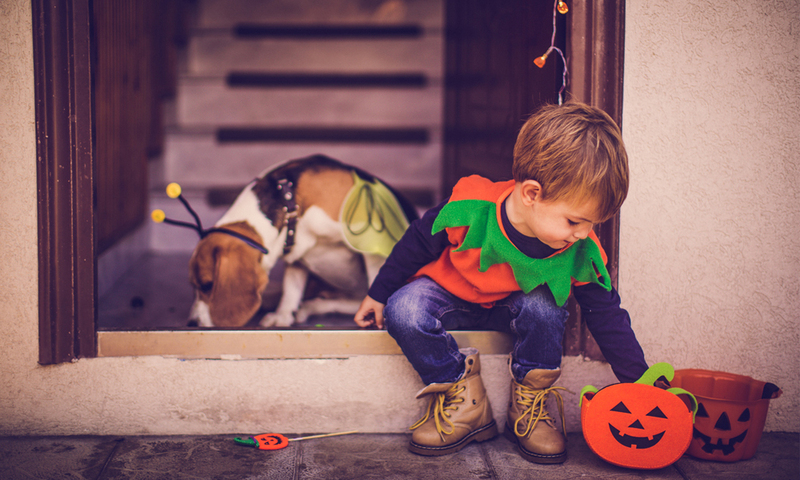 But what do you do if your child (or some of the other trick or treaters) have a nut allergy? 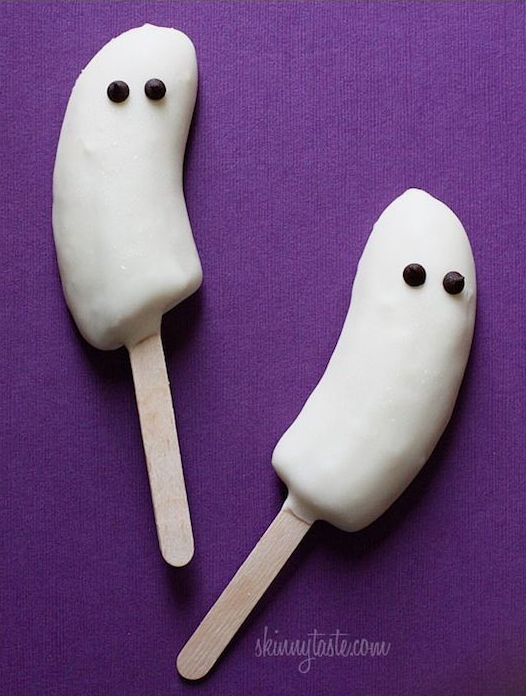 Whether you’re having a party this Halloween or waiting for the ghouls and boys to descend upon your doorstep, we’ve come up with some fun peanut-free Halloween snacks that are sure to please everyone’s little monster. 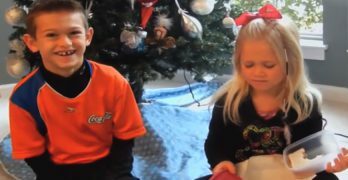 Want a treat your kids will go bananas for? Cut a banana in half (lengthwise), then in half to make four quarters. Insert a popsicle stick into the bananas, dip them one at a time in natural yogurt or white chocolate, then add chocolate chips for eyes. Freeze them for an hour and they’re ready to go. 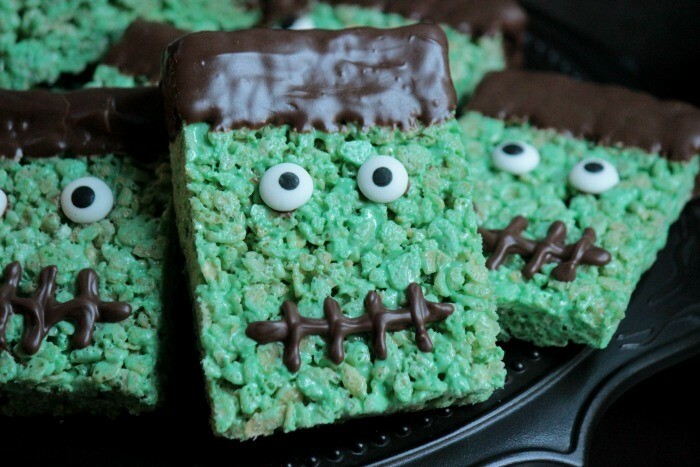 This Puffed Rice Cereal treat will make a (Cereal) Killer addition to your Halloween line up. Make the mixture by combining the cereal, butter, marshmallows and green food colouring—then transfer to a pan. Once cool, remove and cut into squares. Melt chocolate and dip for Frankenstein’s head and mouth, then glue on some candy eyes. 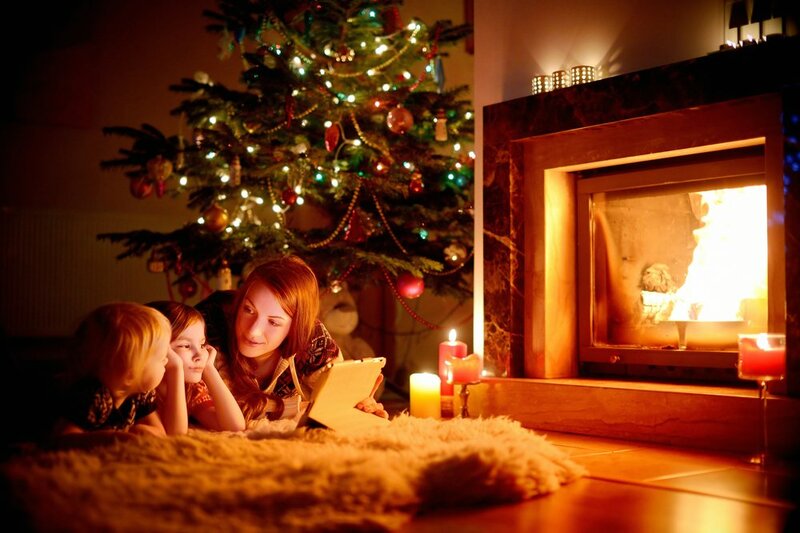 Now watch as your kids ‘bolt’ these down! If you know you won’t have time to rustle up any scary snacks this Halloween, it’s a good idea to have some delicious pre-packaged options on hand. 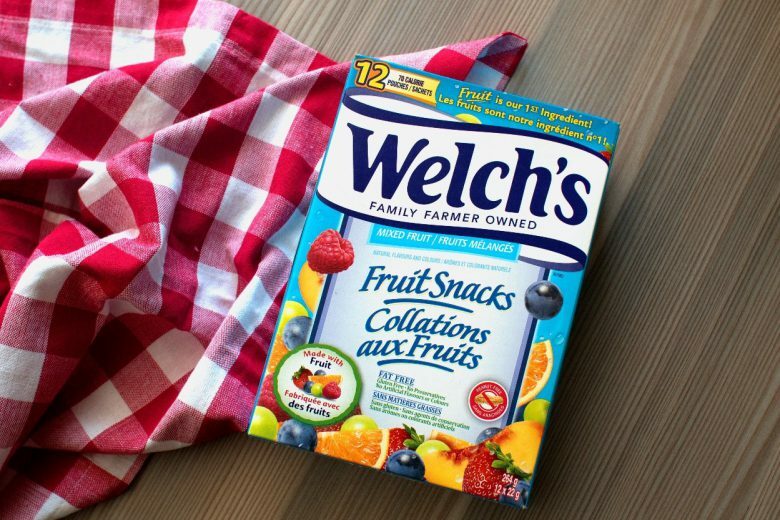 Welch’s Fruit Snacks come in 3 mouth-watering varieties—Mixed Fruits, Berries and Cherries, and Tangy Fruits—plus, they’re fat-free, gluten-free, and contain no preservatives. We call that a Hallo-win! 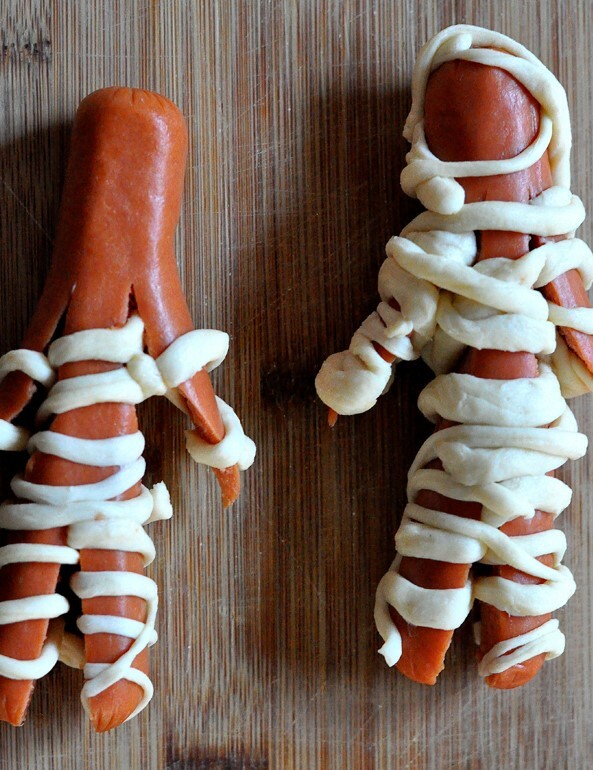 For a spooky treat they’ll really dig, these Mummy Dogs can’t be beat. Roll out some dough and cut into small strips using a pizza cutter. Cut each side of the dogs to create arms and legs. Then start wrapping the dough around your hotdogs and pop in the oven for 15 minutes or until golden brown. It’s a wrap! Take a fun spin on the classic candy apple this Halloween. 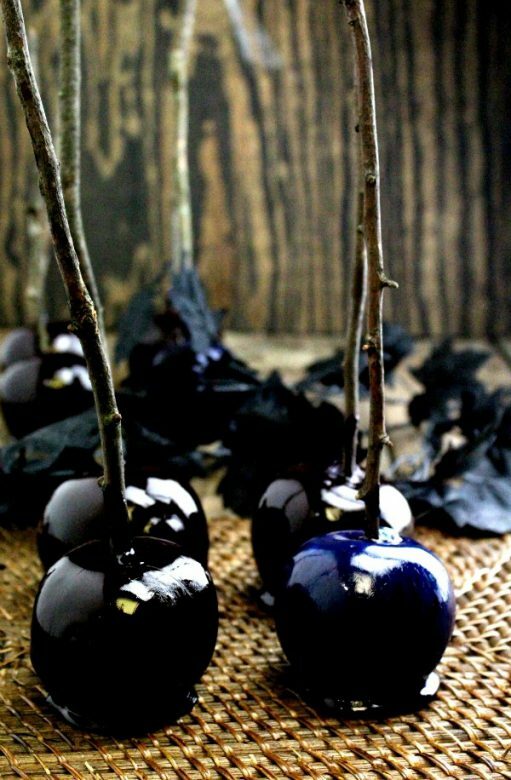 Follow the same recipe for candied apples—wash and dry your apples, remove the stems and insert a wooden skewer—but instead add ½ teaspoon of purple gel icing colour to the candy mixture. These poison apples look so creepy, your kids won’t even mind that they’re eating fruit on Halloween! Sweep the other treats under the carpet with these simple broomstick snacks. Cut each string cheese into thirds and make lengthwise cuts about halfway up for the bristles. 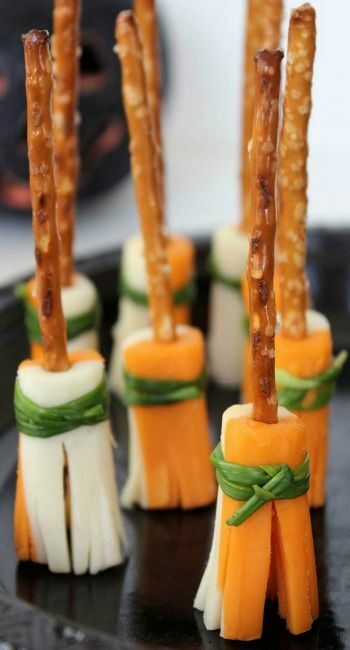 Insert a pretzel stick into the uncut end and bind with a chive for an extra special touch. This post is sponsored by Welch’s® Fruit Snacks. UrbanMoms has been compensated for this post. 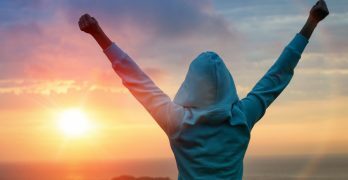 All comments and opinions are our own.